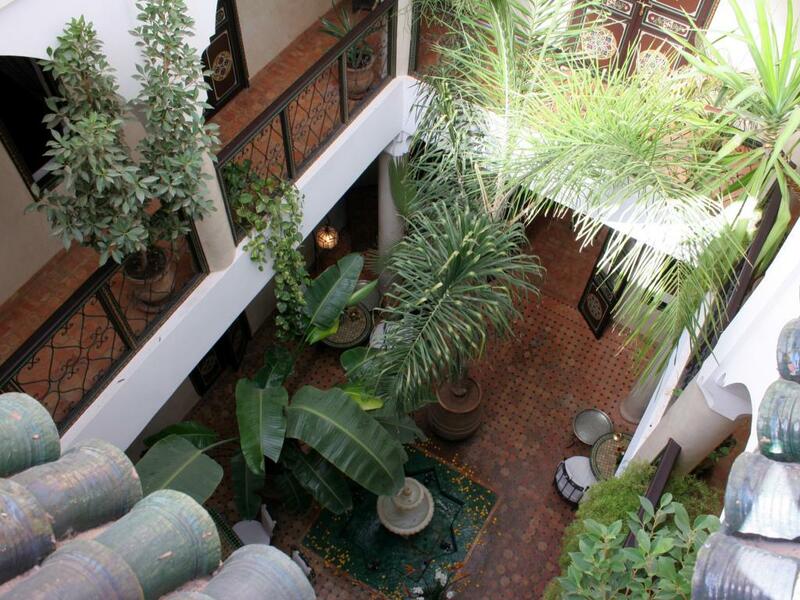 You want to discover Marrakech, its souks, its gastronomy?Denis and his team will meet you at Riad BAMAGA Marrakech Medina. 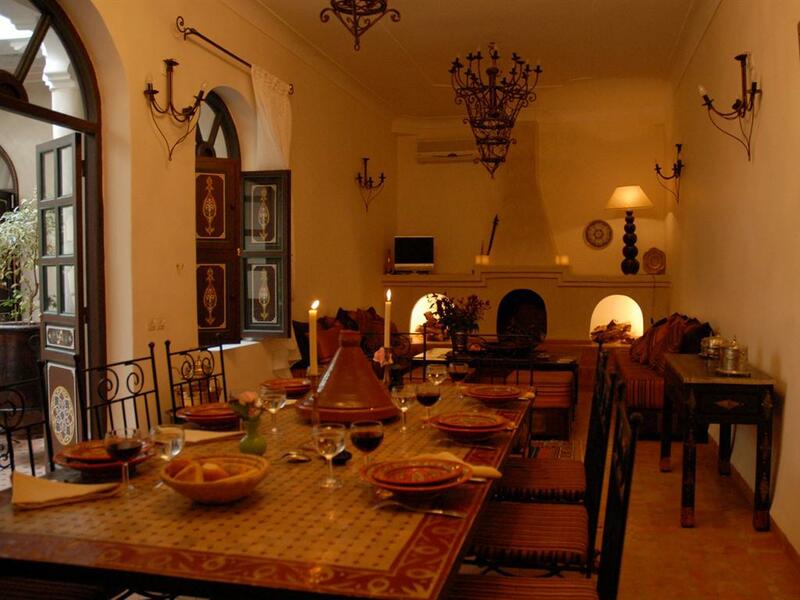 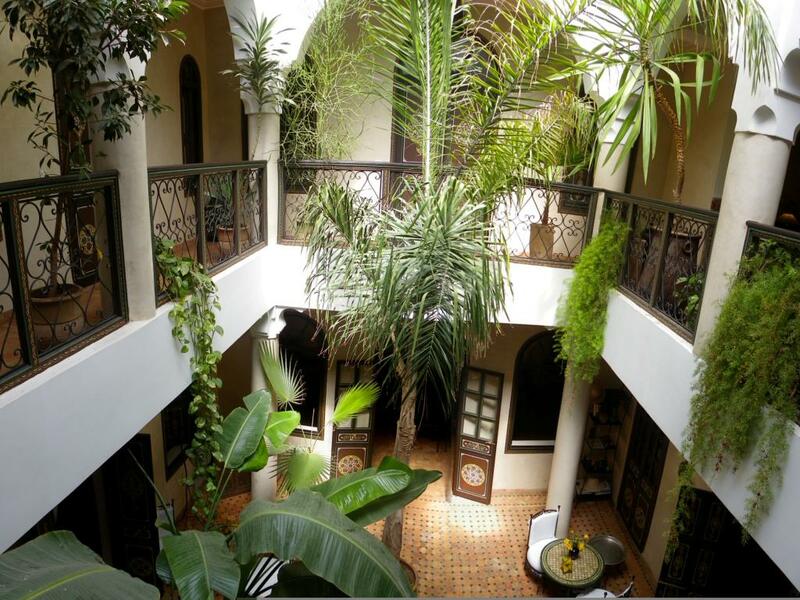 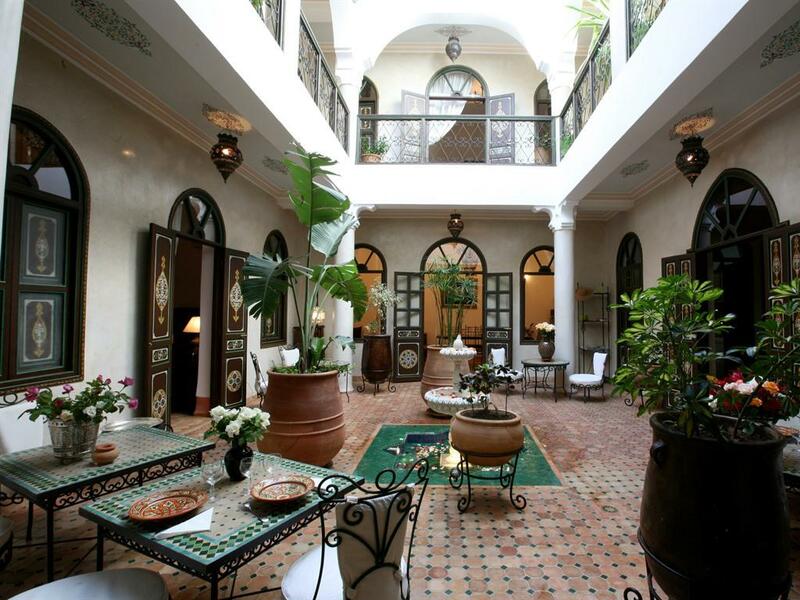 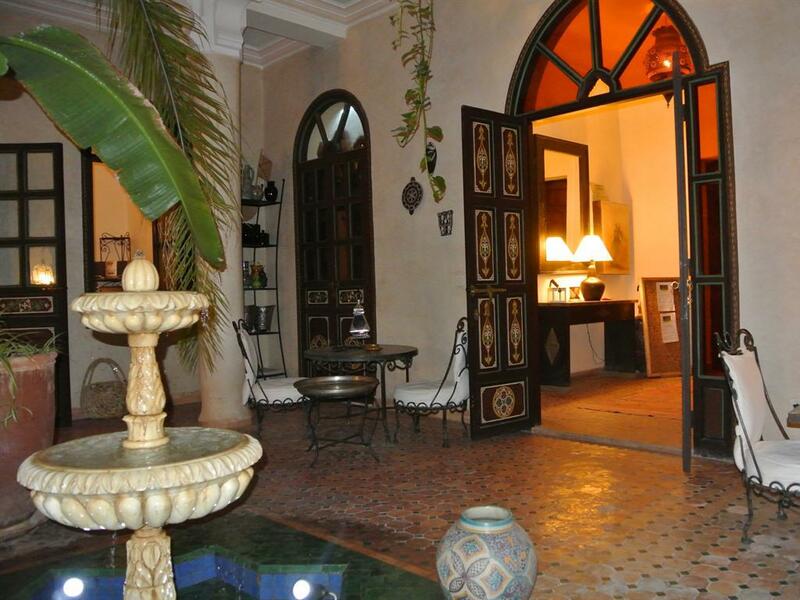 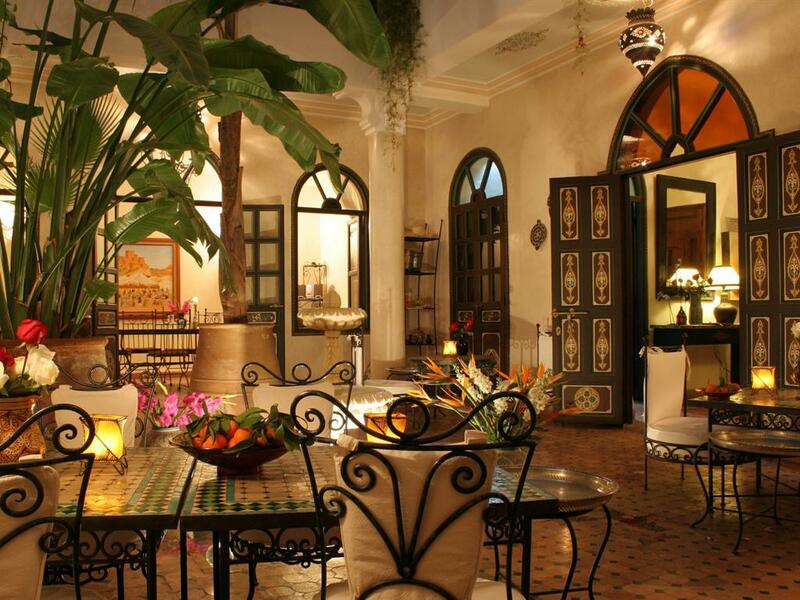 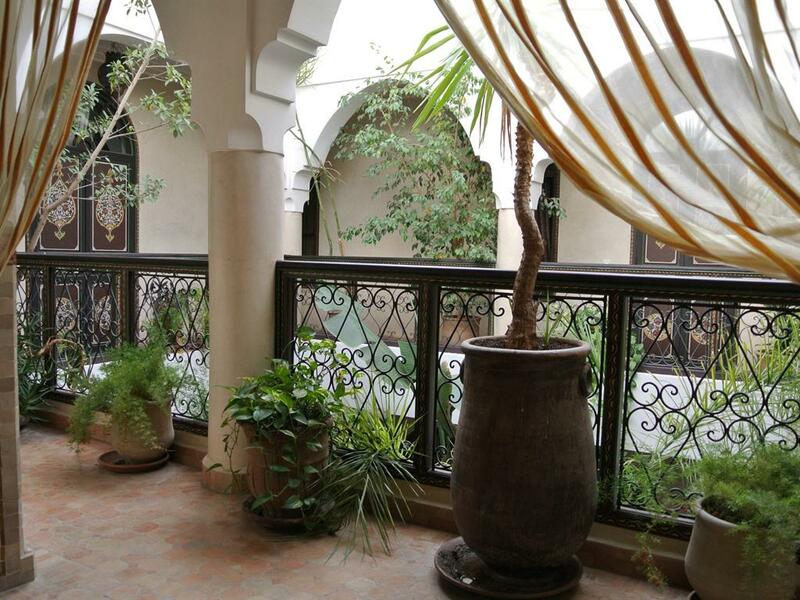 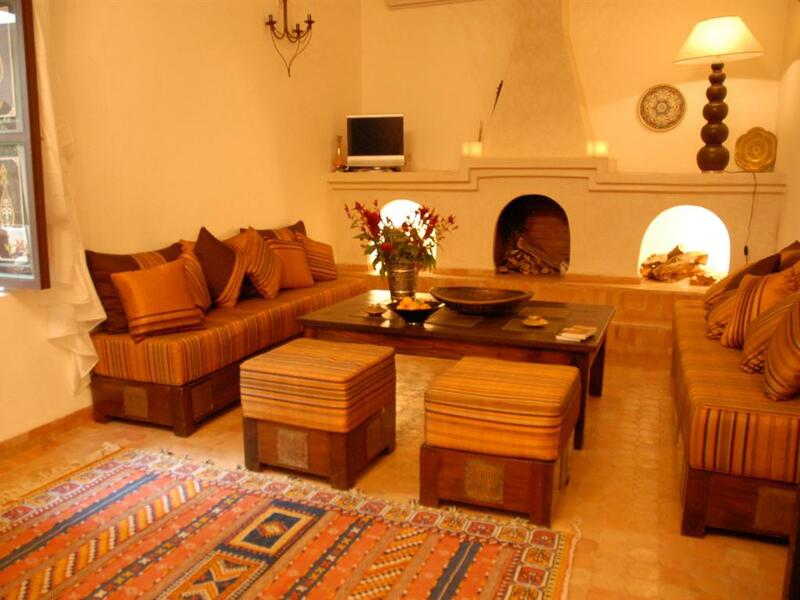 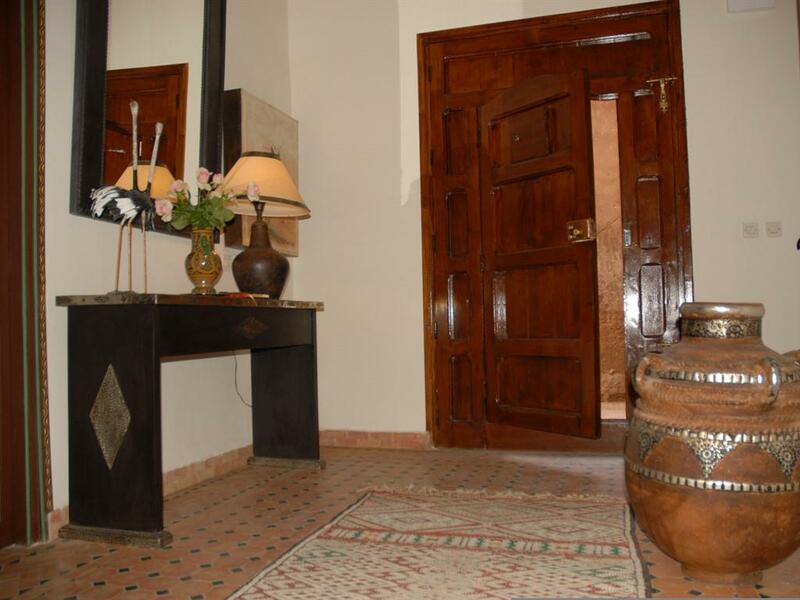 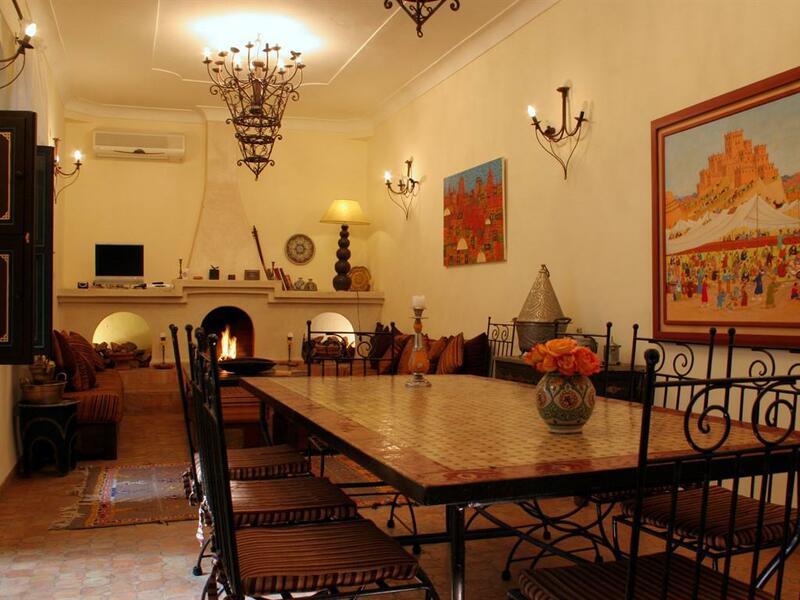 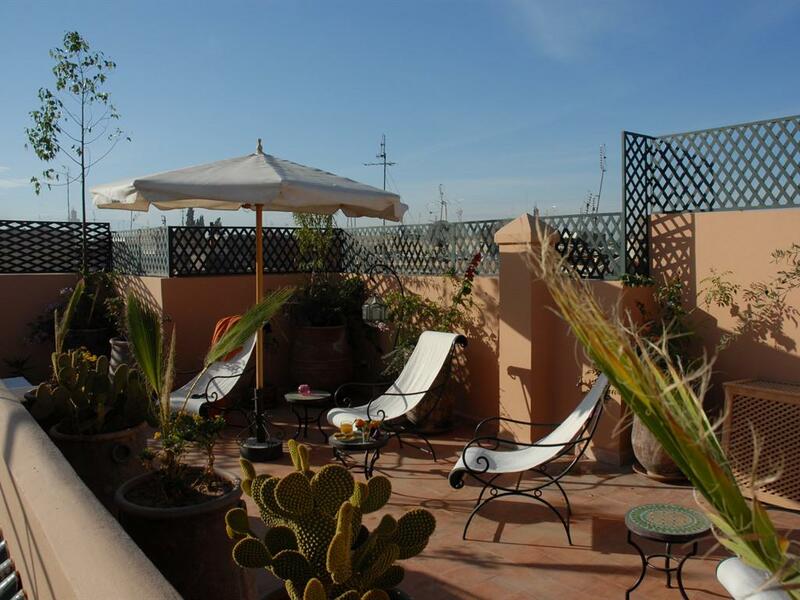 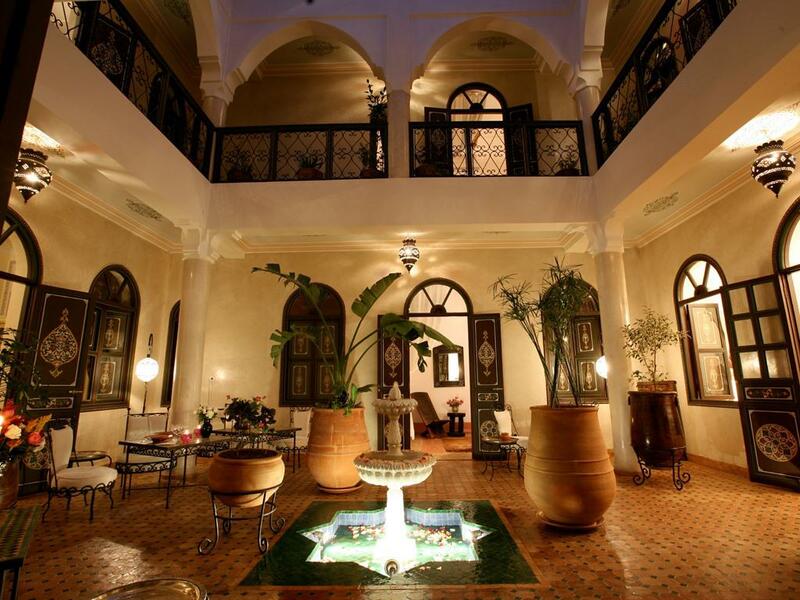 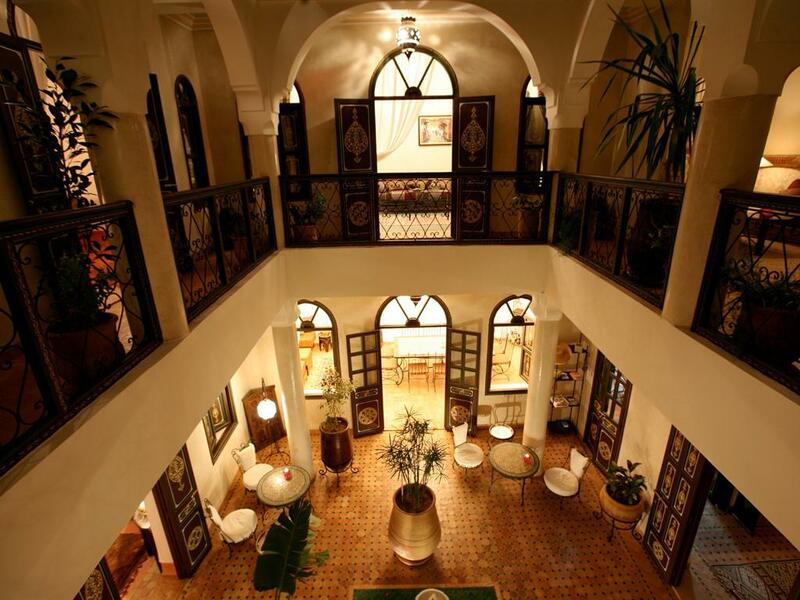 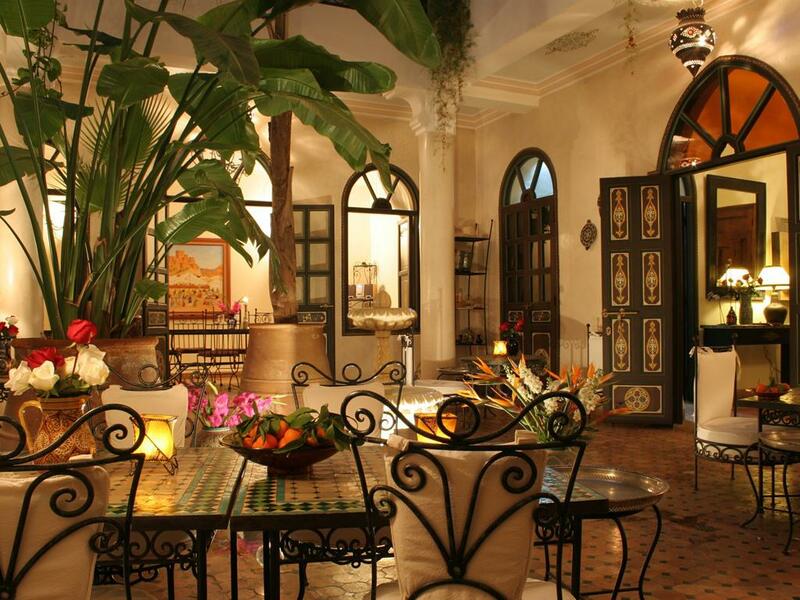 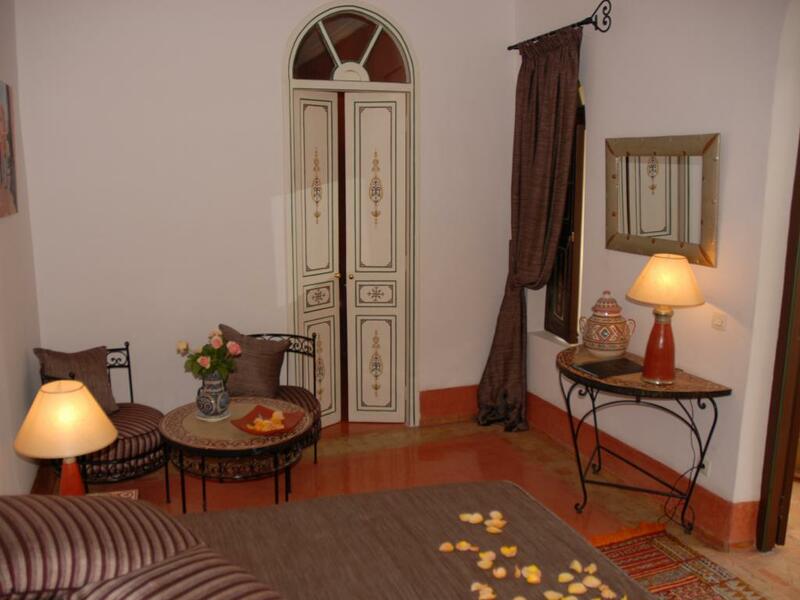 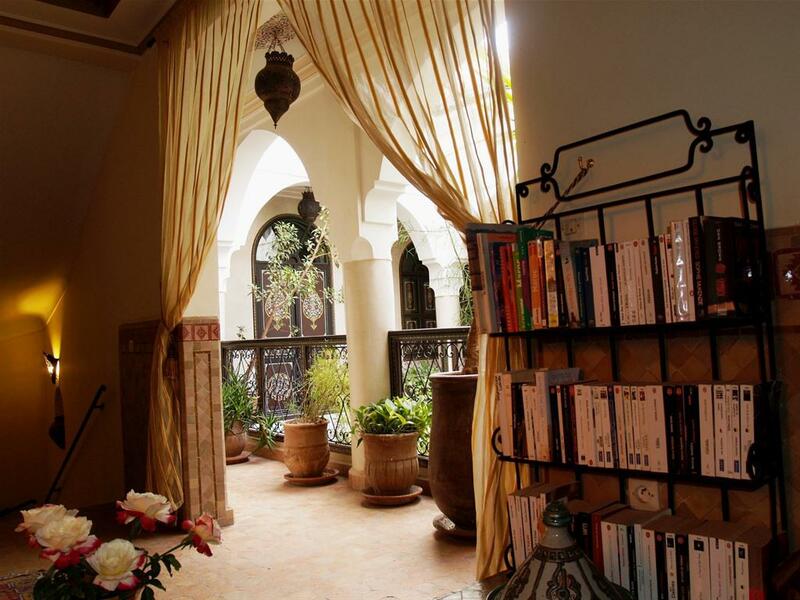 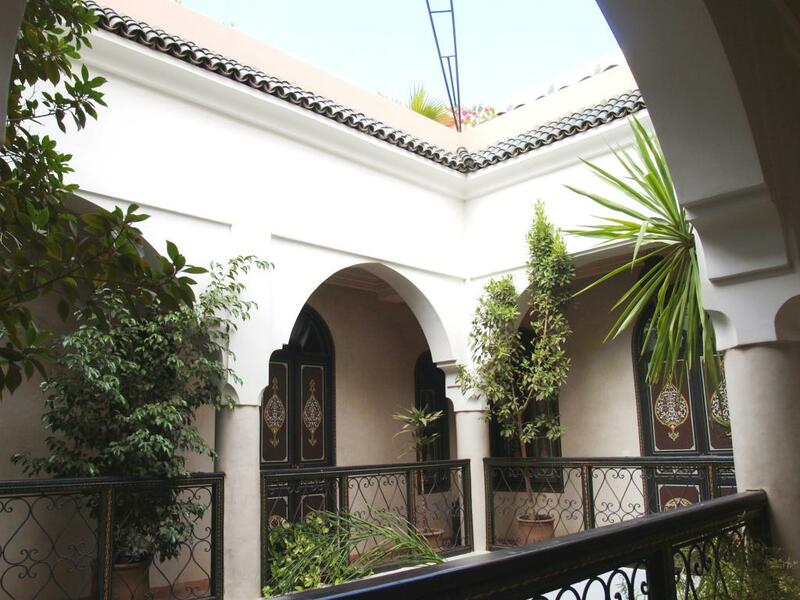 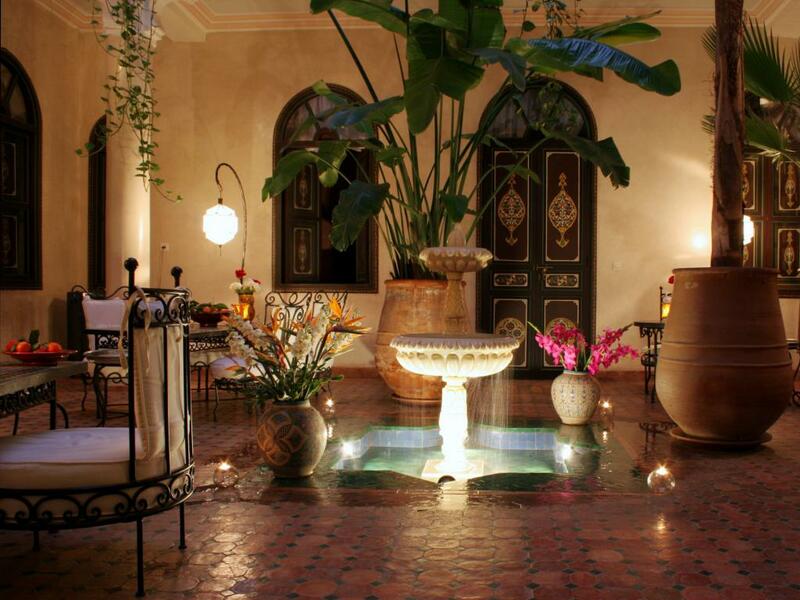 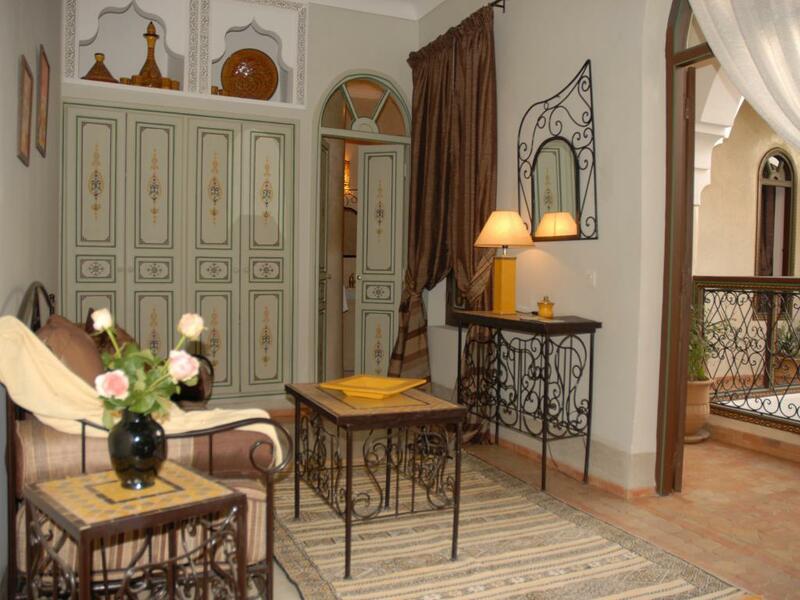 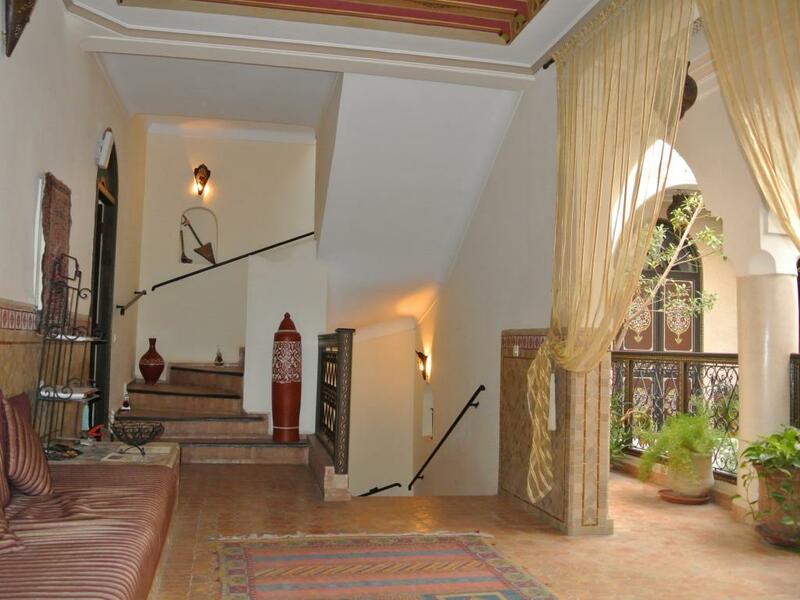 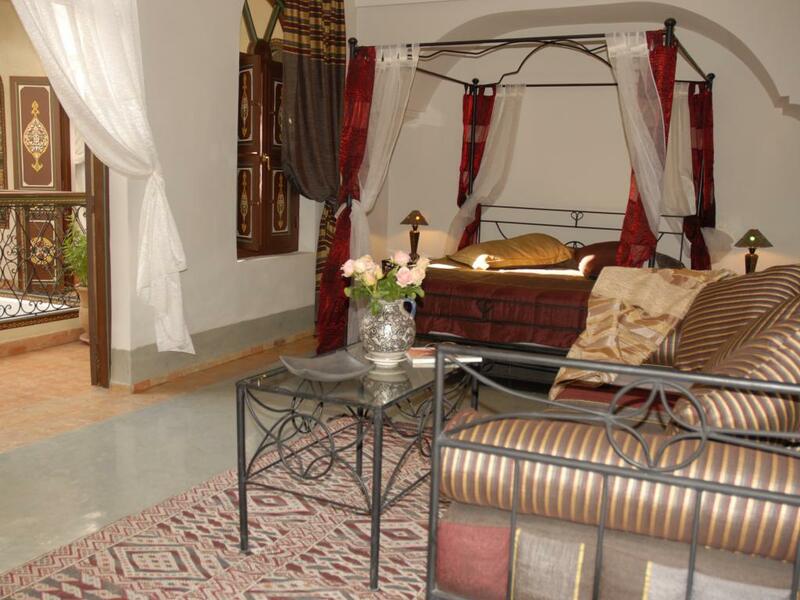 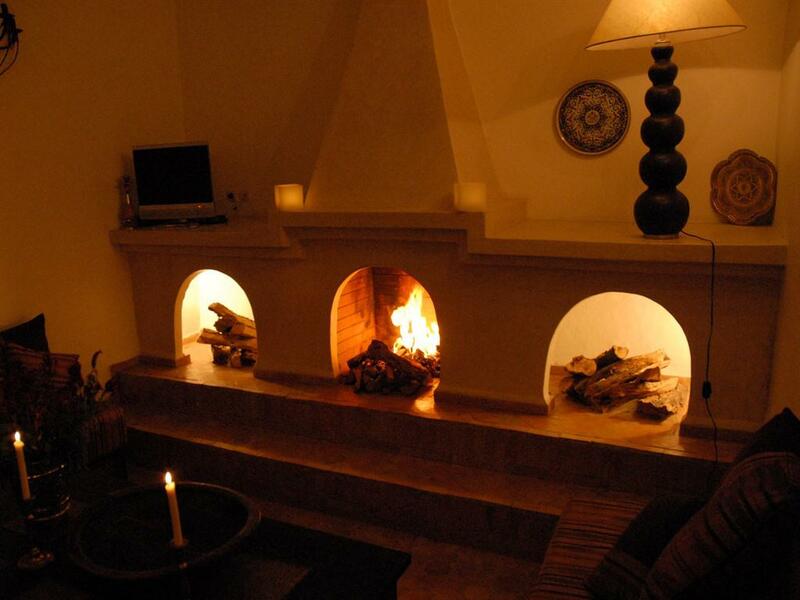 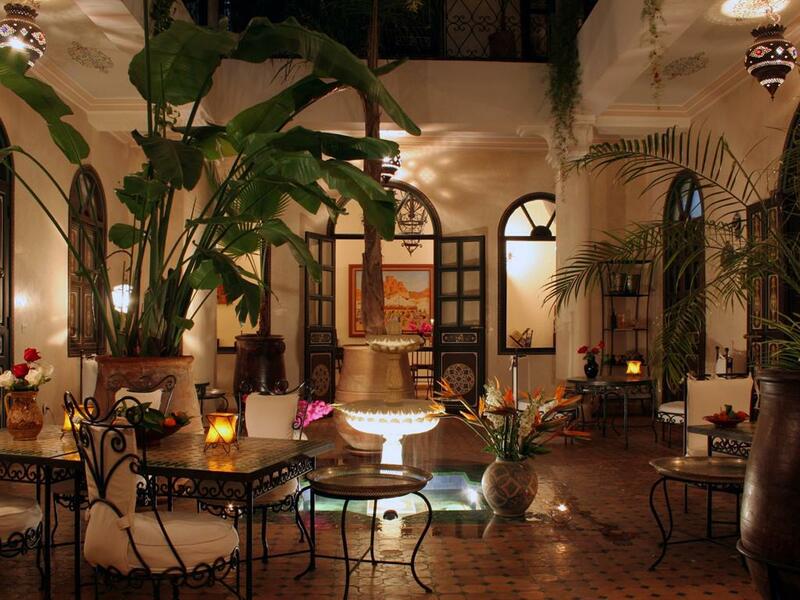 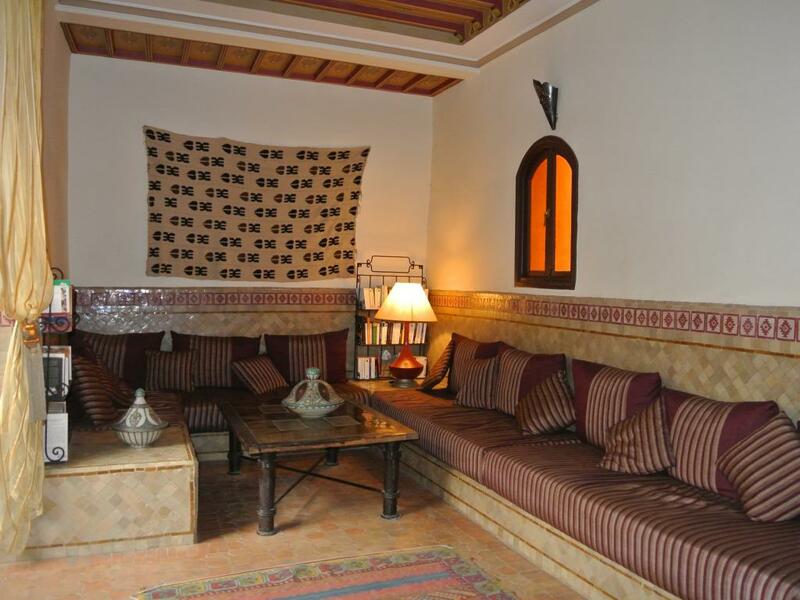 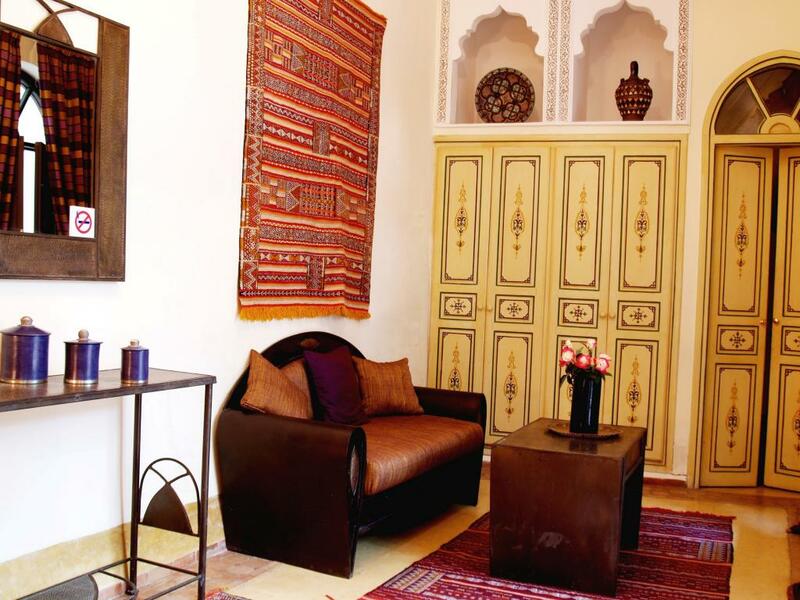 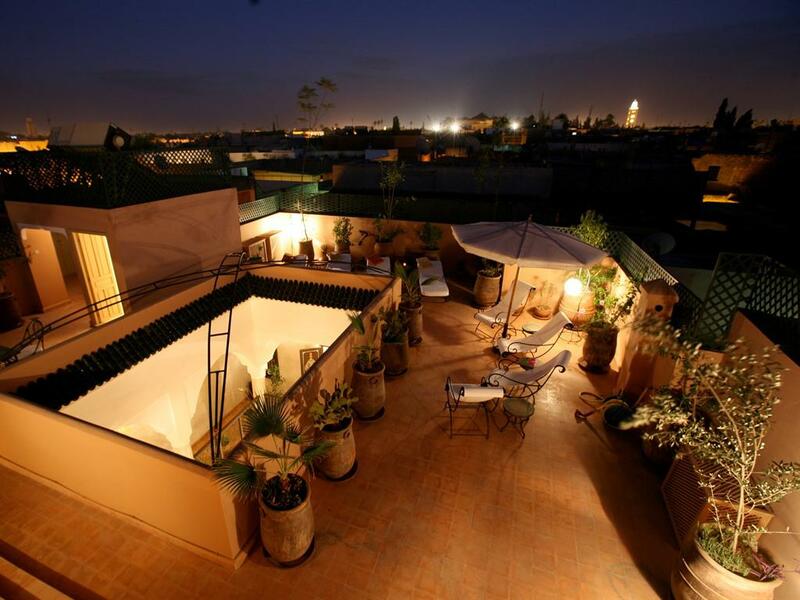 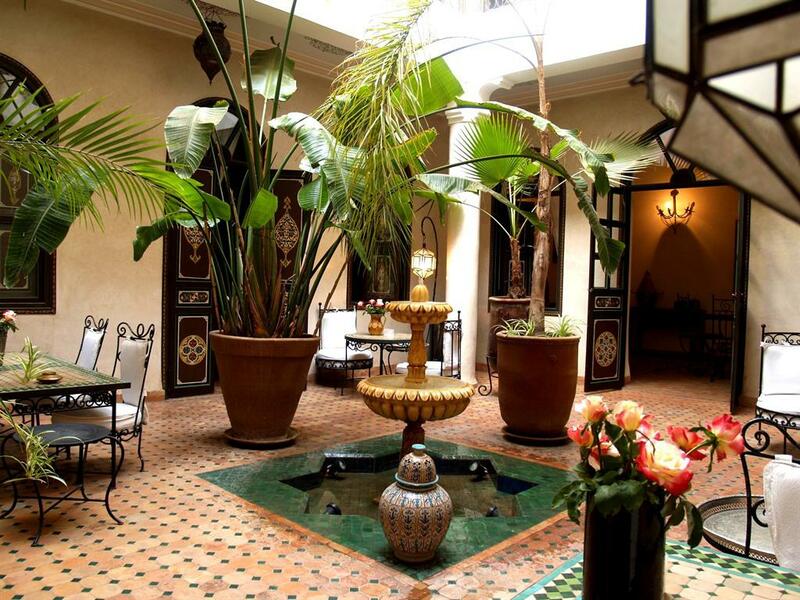 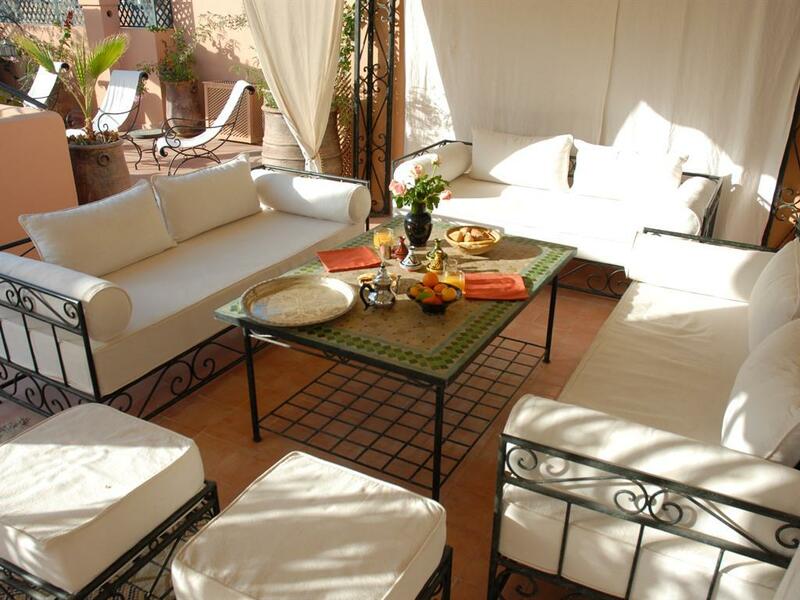 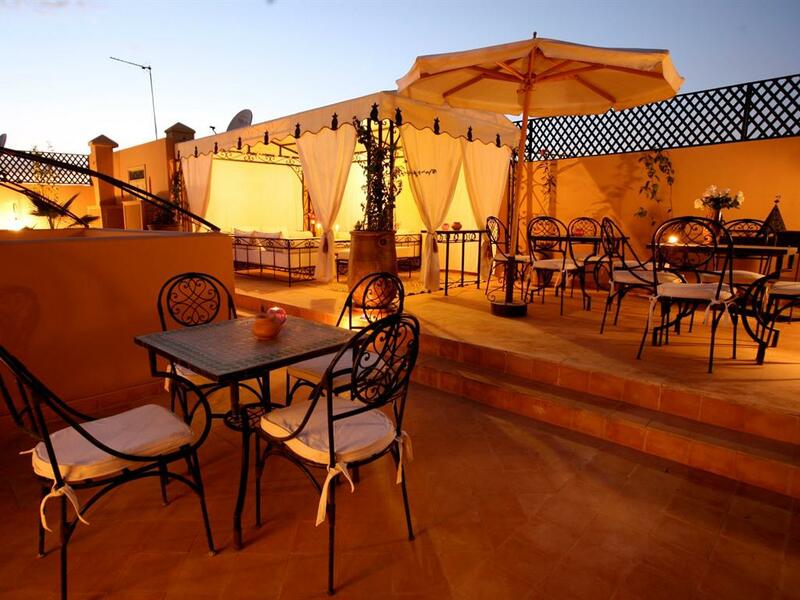 This city, nicknamed the Pearl of the South, is an invitation to change and to discover another culture.You can stay at the Riad BAMAGA Marrakech Medina, which has five comfortable rooms, spacious and air-conditioned, with neat decors. 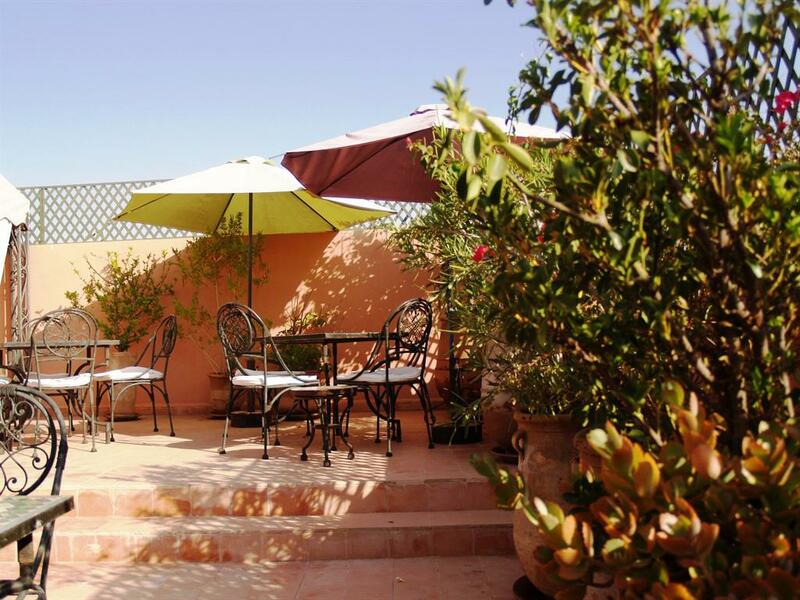 All rooms have a safe, mini bar, kettle and large bathrooms with hairdryer and shower in tadlakt.From the terrace you can admire the view of the Atlas Mountains. 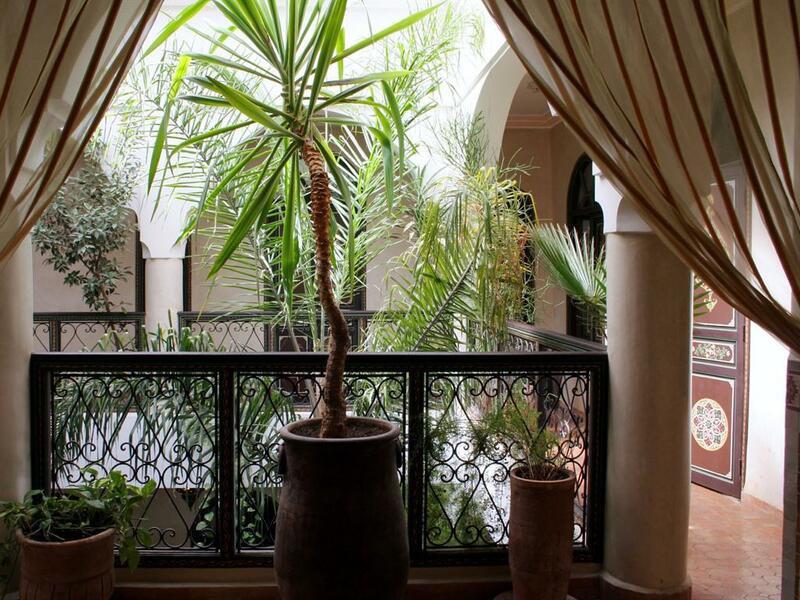 When you arrive at the Riad BAMAGA Marrakech Medina, Denis and his team will welcome you and guide you to make your stay in Marrakech an unforgettable and exceptional moment. 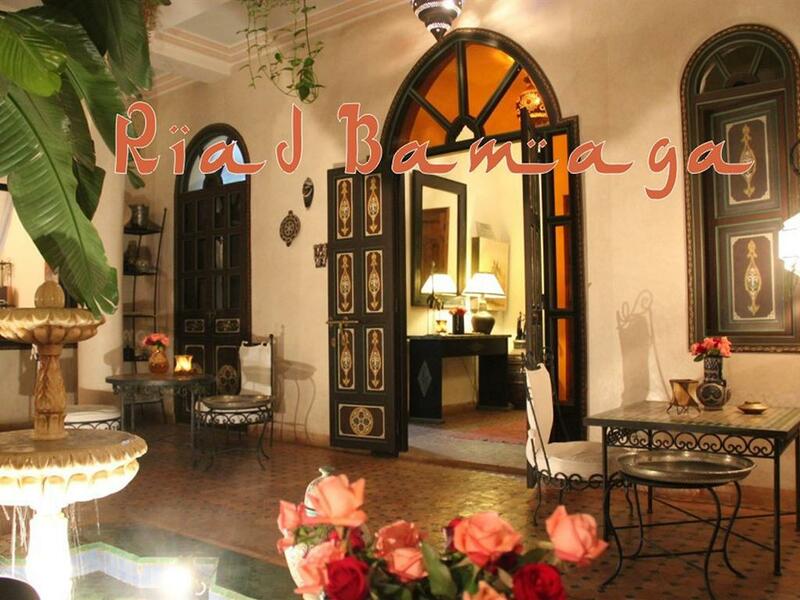 Good addresses, advice, good plans, detailed explanations, recommendations.You will discover the Moroccan way of life.For, at the Riad BAMAGA Marrakech Medina, everything is done to relax and put your senses on the alert.Marrakech is a city of contrasts and emotions, where the spectacle of the street will not cease to amaze you.At the Riad BAMAGA Marrakech Medina, dining area, living room under the tent of the terrace, solarium, just waiting for you.The Riad BAMAGA Marrakech Medina has spaces for relaxation and isolation if you wish. 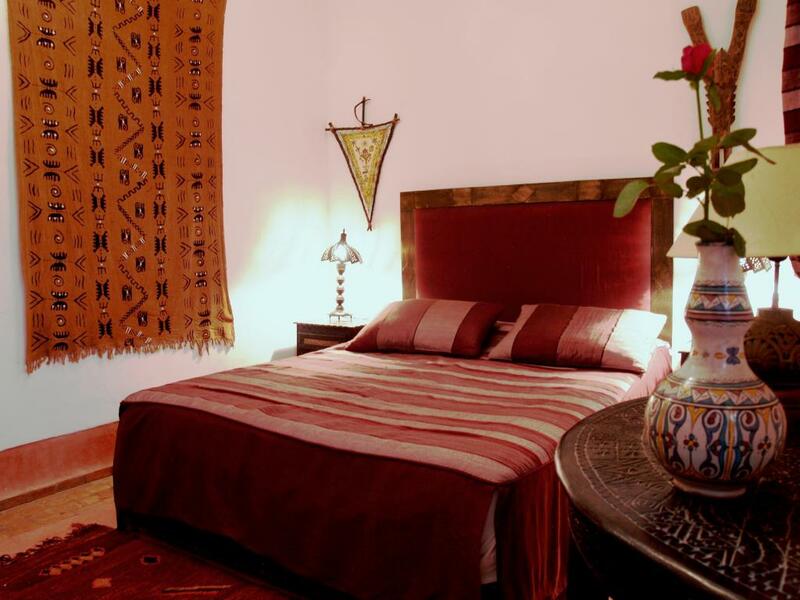 At the Riad BAMAGA Marrakech Medina, Aïcha and Nadia will make you discover the originality of the Moroccan cuisine, full of subtleties and perfumes. 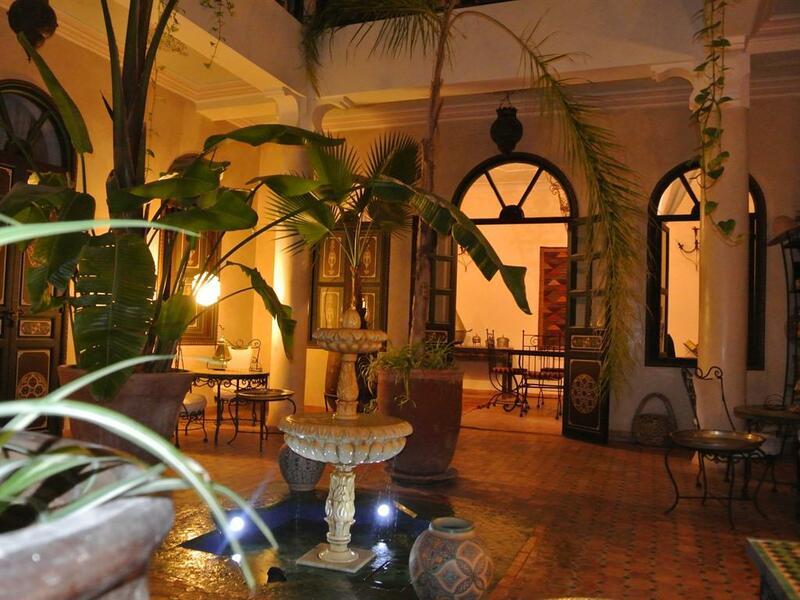 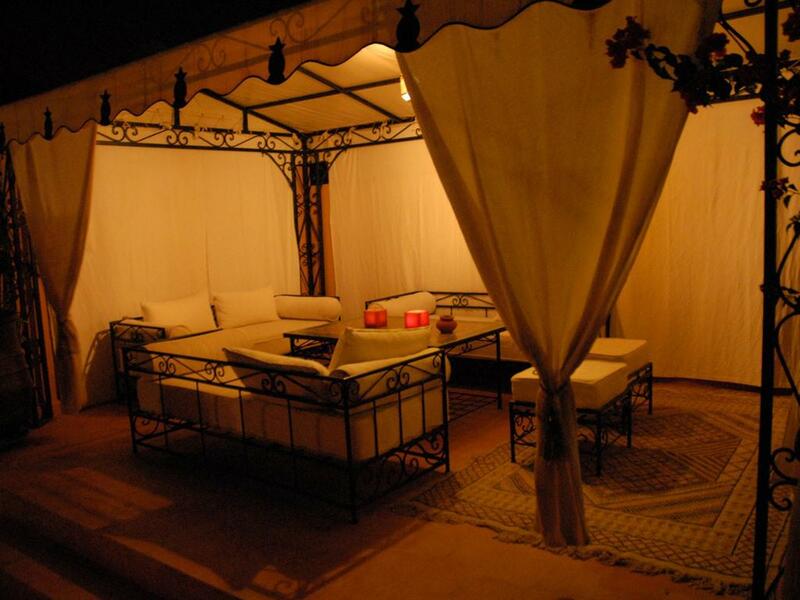 Your meal can be taken in the patio, the large dining room or on the terrace.Ahmed will watch over your sleep. 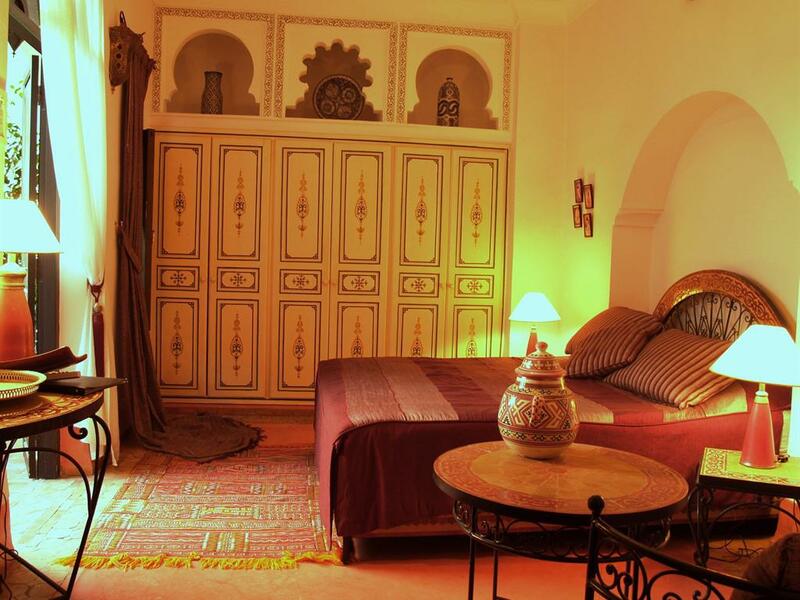 The Riad BAMAGA Marrakech Médina also offers various formulas: relaxation, discovery or adventure; There is something for every taste !